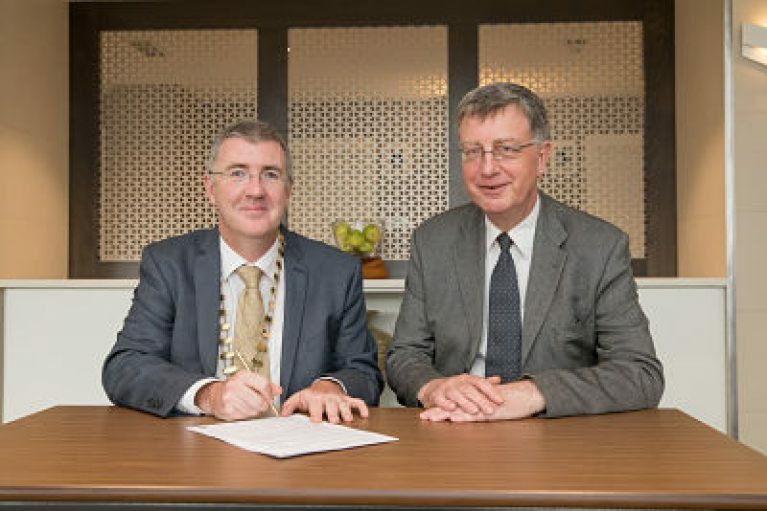 An agreement between IMCA and the UK Institute of Consulting to recognise our respective accreditations was formally signed on July 6th at the 2017 European Hub Meeting of management consultancy institutes in Dublin. Pictured at the signing are Martin Markey, President IMCA and Ian Watson, Chair Institute of Consulting. © 2019 IMCA | All Rights Reserved. Institute of Management Consultants and Advisers is a company limited by guarantee and is registered in Dublin (registered number 81899). The registered office address is Unit 9 Bailey House, The Courtyard, Fonthill Business Park, Dublin 22 D22 XK59, Ireland.